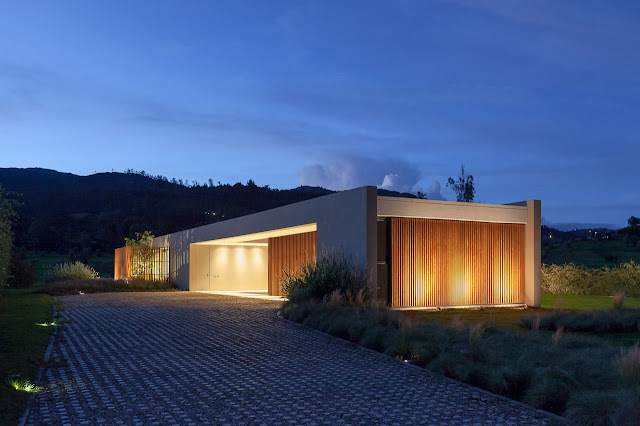 Colombian architect Sergio Reyes Rodríguez designed Casa 40 in La Calera, Colombia, a single storey minimalist house, arranged around internal atriums and surrounding landscape views. 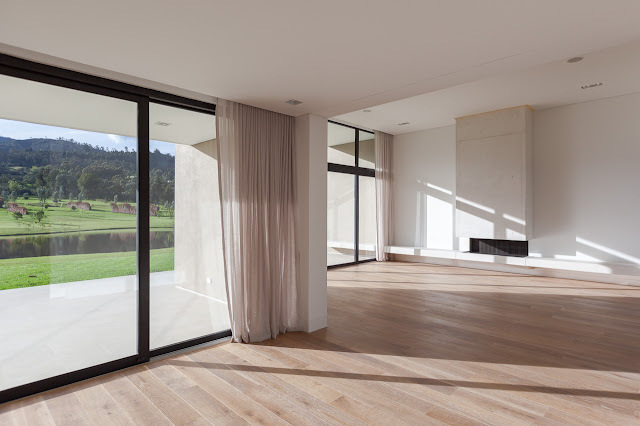 Casa 40 sits on a site on the outskirts of Bogotá in the neighbouring city of La Calera. 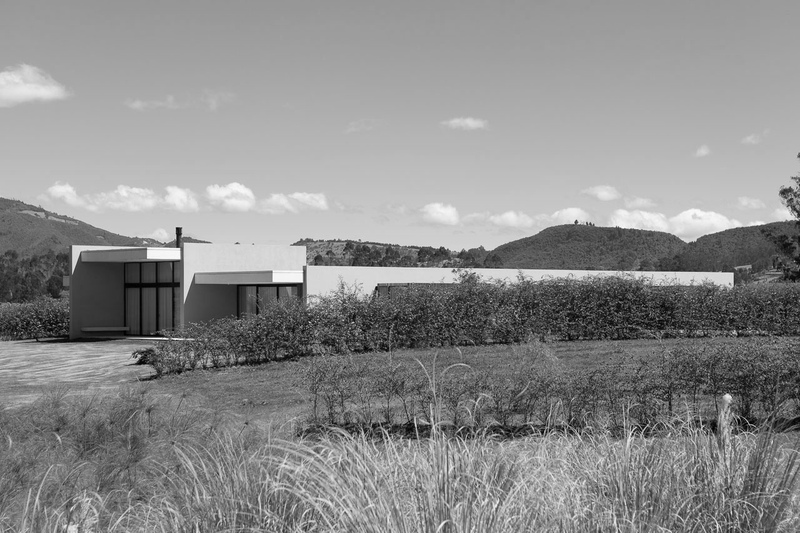 Anchored in a gated countryside development with a low number of single family residences, this particular plot of land offers unique scenic elements that help place, shape and constrain the Architecture. The client requires a single level home that can potentially have as many visual connections to the surrounding landscape as possible, but keeping a high level of privacy from future neighbours. This demands a strategic placement of the house that allows permeability and privacy to coexist. In order to achieve this, the project assembles three elongated modules that seclude the residence from the adjacent lots on the north and south. 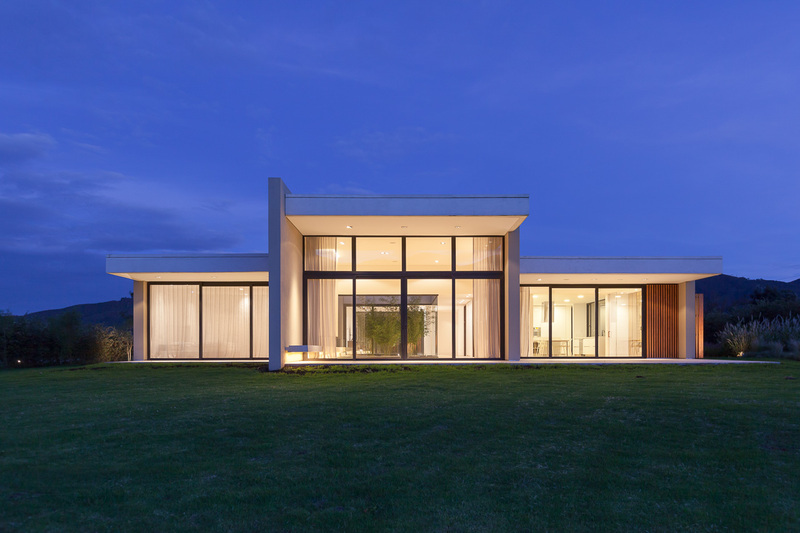 At the same time, the modules open themselves towards the scenic views and the morning to afternoon sun path on the east and west. 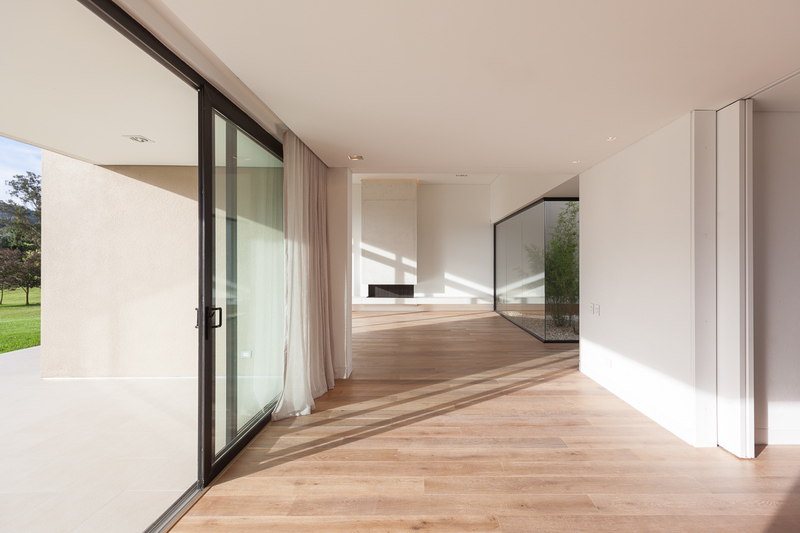 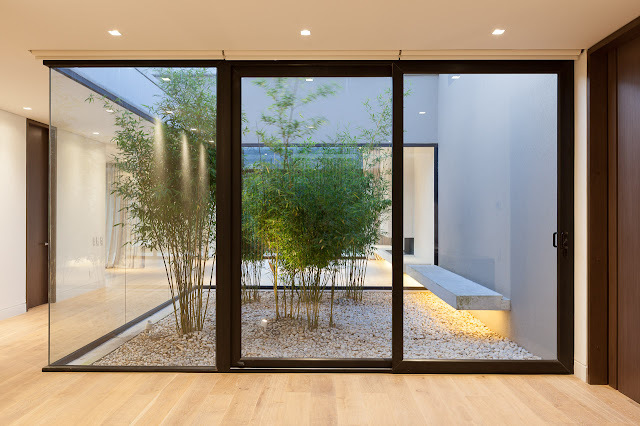 Courtyards (patios) break the modules and bring light, natural ventilation and landscape features inside the residence. 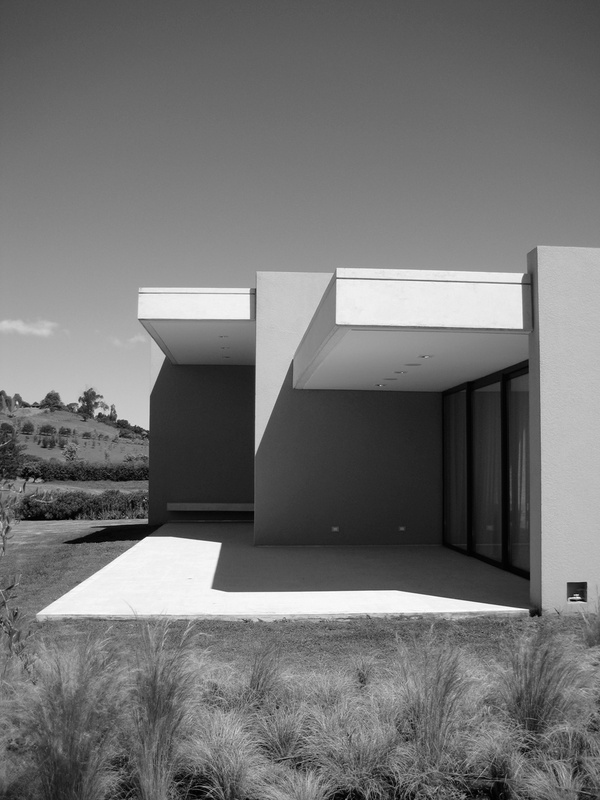 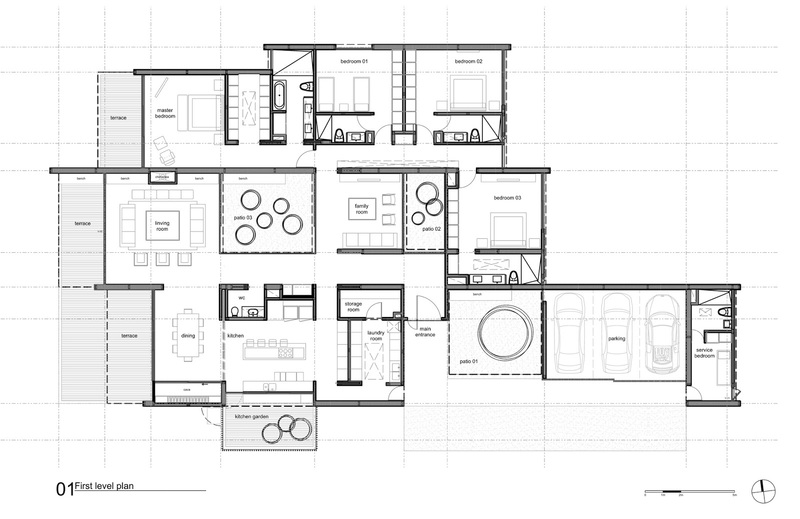 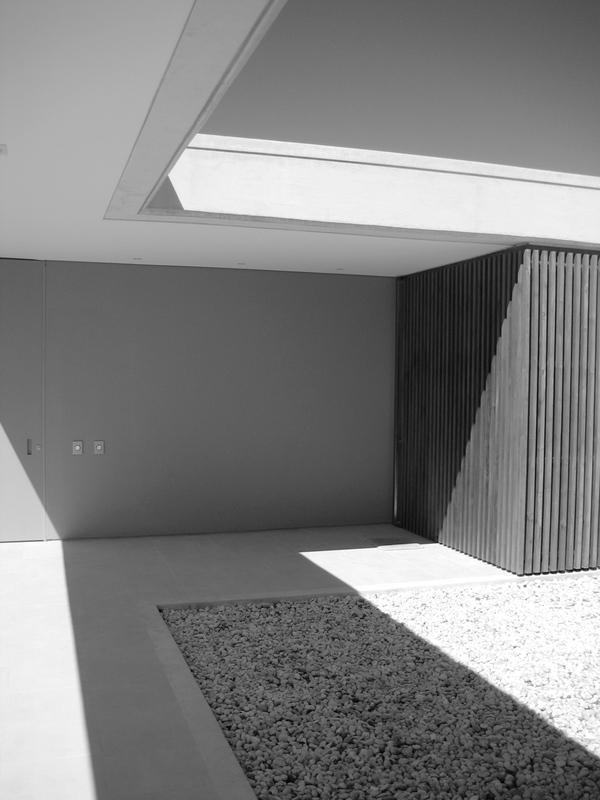 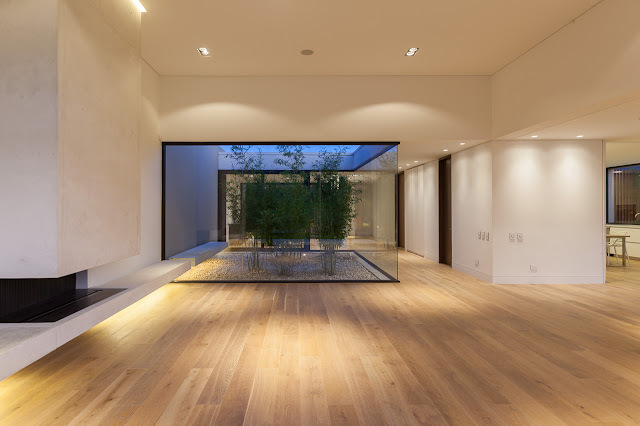 The structure enhances the spatial concept of the house. Load bearing walls (fins), in addition to floor and roof slabs, complete a simple and pragmatic structural principle that performs well in high seismic risk areas such as this one. 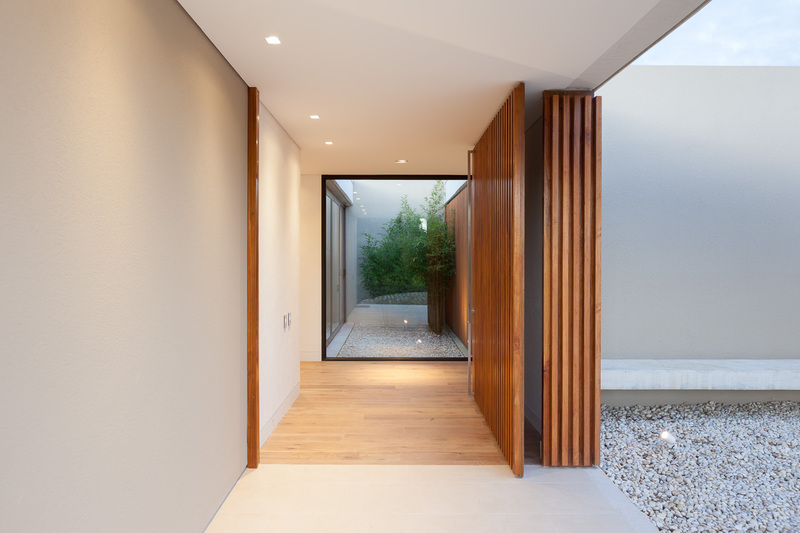 It also builds upon the spatial intentions as it allows for the different spaces to relate visually and physically without the obstruction of columns. 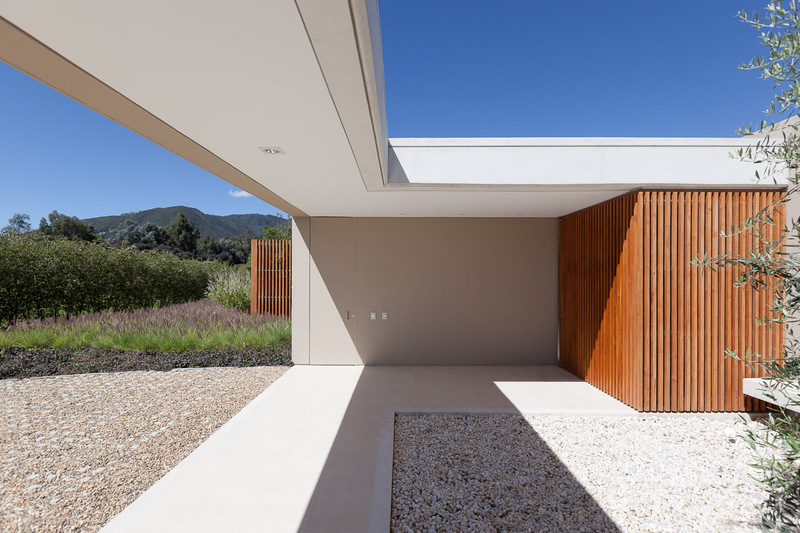 The façade is reduced to a palette of three materials that respond efficiently to the temperature and climate conditions of its context. 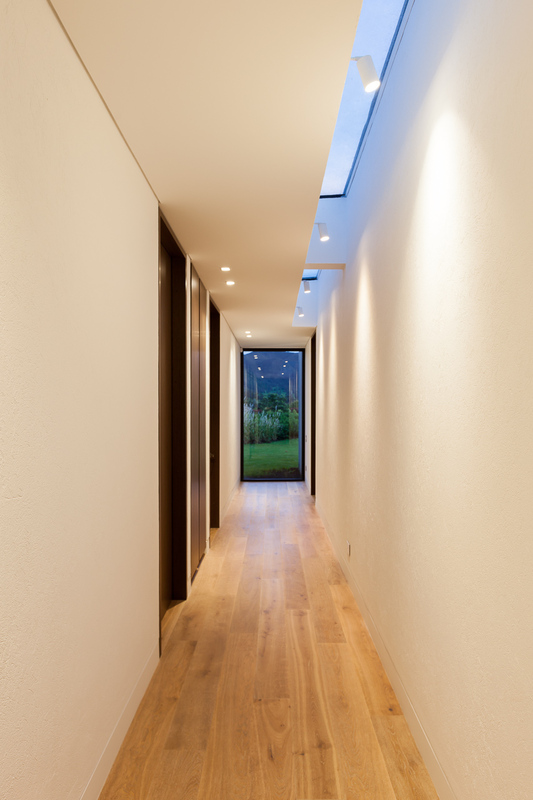 They are also materials easily found and adequately built with little or no maintenance issues. 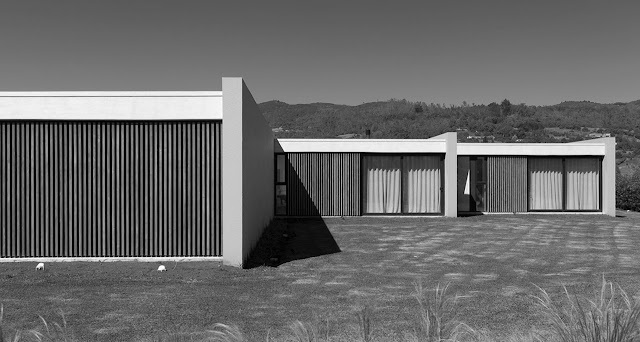 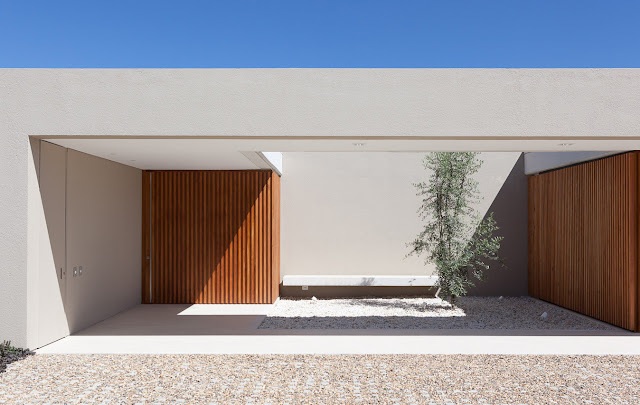 White exposed concrete on external slabs and textured stucco on external walls clad the main body of the house, while a teak wood cladding device softens the surfaces and acts as an ideal insulating material.